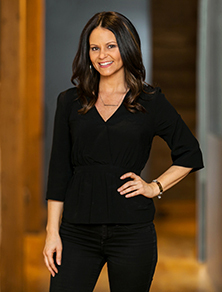 Christina Pascente manages the marketing and communications at Centaur. She handles all the creative aspects for the company including proposals, advertising, branding, website and other marketing materials. Christina administers aesthetic changes to the website while keeping it up-to-date with current company projects, information and photos. She collaborates with vendors and other professionals to coordinate brand awareness and marketing efforts. Since social media now plays such a vital role in society, Christina came on the Centaur team to incorporate it into the company’s marketing plan. Our branding set us apart from others in the Construction Industry and she continues to bring innovation to the Team. Graduating from Columbia College with a Bachelor’s Degree in Advertising, Christina has a creative and diverse skill set that is beneficial in maintaining Centaur’s mainstream look. Keeping up to date with all media and marketing networks is her ongoing goal. Christina is a true city girl who now lives in the suburbs. Being a huge football fan, she loves watching Bears games and attending them when possible. She also likes to entertain and spend time with friends and family.